Millions of Americans will be spending hundreds of dollars preparing to send their K-12 aged students back to school over the next few weeks. Thrift Town says, back to school can be done for a lot less, and all the cool kids are shopping thrift. Millions of Americans will be spending hundreds of dollars preparing to send their K-12 aged students back to school over the next few weeks. The cost of back to school supplies and clothing needs can add up fast. According to a National Retail Federation survey, back to school shoppers will spend on average around $600 per person. Thrift Town says, back to school can be done for a lot less, and all the cool kids are shopping thrift. 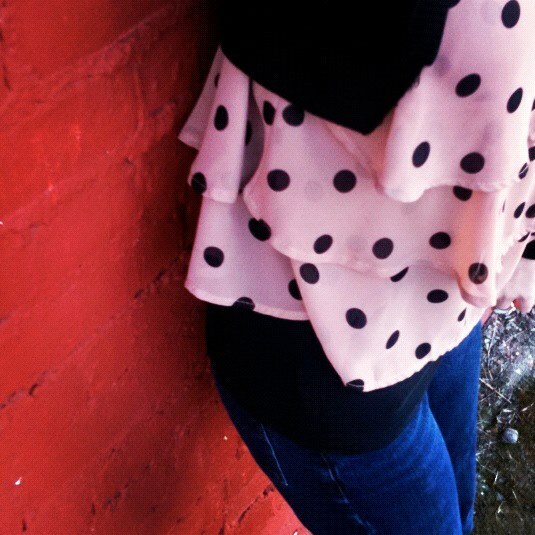 It's no secret that there's an increased acceptance of thrift stores in terms of fashion sense. Retro is cool; just ask Macklemore. Wendy Steinmetz, VP of Marketing at Thrift Town Stores says "back in the day when we first started our company, it was all about offering alternative retail for people of low to middle income. Now however, customers are increasingly getting more mainstream and younger as kids want to create their own look, and unique style. They can do that without the big price tag at Thrift Town." Social media has also played a part in reviving the thrift option. So much so that Thrift Town has engaged multiple personal stylist bloggers from young adult, all the way down to tweens, to blog about fashion tips for kids going back to school and what types of "finds" they have personally found at Thrift Town. Steinmetz says the initiative is successful because "kids will go shopping and for $20 put together four different outfits at Thrift Town. They tell their friends about it, and they want to do it too." To help people get in the mood for back to school shopping, Thrift Town is hosting a Back to School themed sale discounting all clothing by 50% off their already low prices on Friday, August 2nd at all 14 of their store locations. Thrift Town is open from 9am-9pm Monday through Saturday, and 10am-6pm on Sundays. Discount does not apply to tag sale items as those items are already on sale for 50% off. Now that all the back to school needs are covered, consider donating all items that were outgrown, particularly gently used clothing and shoes, to one of Thrift Town's local non-profit partners. To find out when one of the donation pick-up trucks will be in the neighborhood, or to find a convenient drop-off location, please please visit ThriftTown.com. All donations directly benefit local non-profit partners and are tax deductible. As stated above, Thrift Town is social and welcomes the opportunity to engage with customers online on Facebook/ThriftTown, Pinterest/PinThriftTown, Twitter, Tubmlr, and Instagram @ThriftTown or #ThriftTown, and even has a free app that can be found in the Apple Store. Thrift Town’s VIP customer rewards program, dedicated weekly blog, and amazing consumer contests all raise awareness of the benefits of thrift in a fun and enriching environment. Thrift Town lives its vision statement of being committed to making a difference every day, and is proud to have raised more than $250 million dollars for their charity partners. Each of their clean, bright, and organized stores put out 4,000 new products daily, setting them apart in the thrift world as the premier thrift destination. Thrift Town is owned and operated by Norquist Salvage Corporation, which has spent over four decades dedicated to socially responsible recycling. 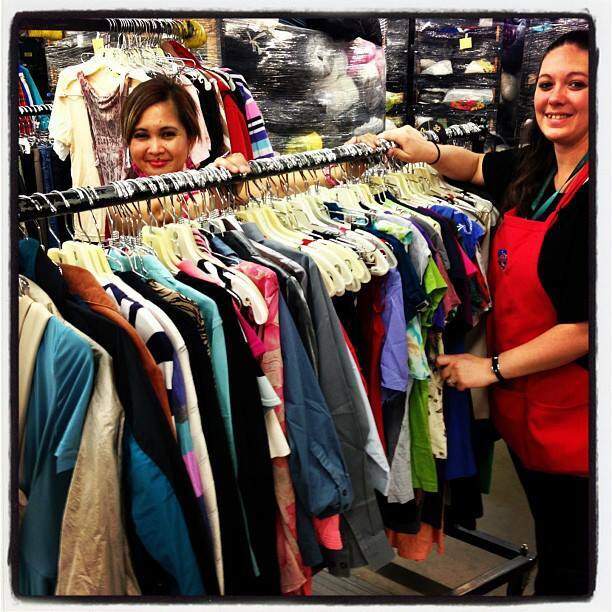 Thrift Town Crew puts 4000 new to you items out daily!Thrift Town Crew puts 4000 new to you items out daily! 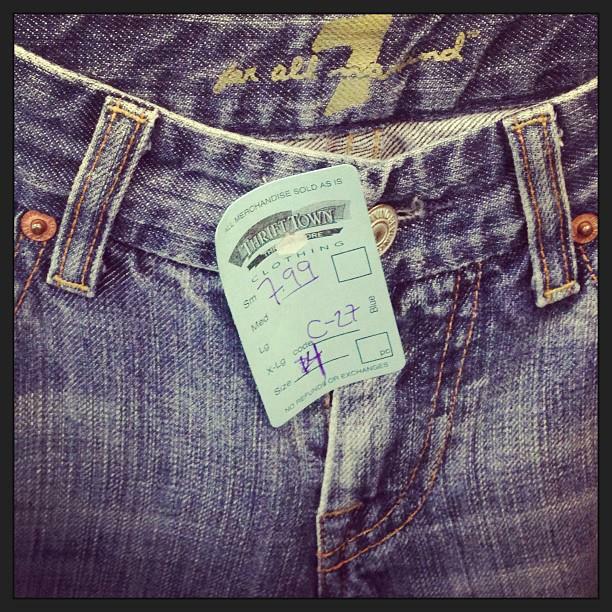 Thrift Town has great prices on gently used brand name jeans.Check out Thrift Town's great prices! Thrift Town is clean, bright, and organized!Thrift Town is clean, bright, and organized! Recreate the hottest looks at Thrift Town for less!Recreate the hottest looks at Thrift Town for less!